The Hudson Strait Mariner's Guide is made up of two large posters to be hung on the ship's bridge: a chart that will help mariners identify whales, seals, polar bears and walrus, and maps of marine mammal habitat in both summer and winter. The guide lists phone numbers so mariners can report sightings and incidents at both the national and community level, and provides operational guidance when close to or encountering marine mammals. Andrew Dumbrille, senior specialist, sustainable Arctic shipping, says:"This is an opportunity to create a high standard for sustainable shipping practices before we see a major increase in activity in the Hudson Strait due to longer open-water periods. We hope this guide will serve as a tool for mariners to minimize disruptions to important habitat, and increase awareness in the shipping community about the wildlife that share these waters. 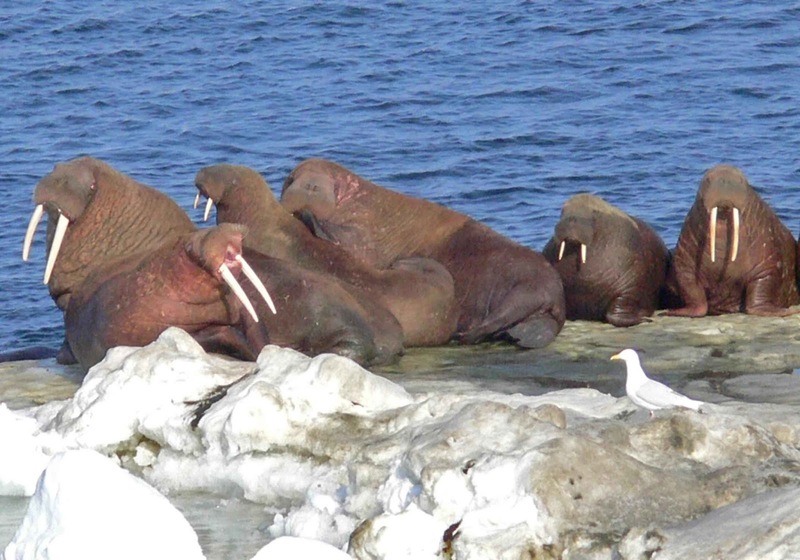 It will also encourage mariners to work with northern communities who depend on the continued health of marine mammals for their own survival. Sharing accurate, up-to-date information makes the waters safer for all involved." Marc Gagnon, director, government affairs and sustainability for Fednav, says:"This guide should be on every ship that passes through the Hudson Strait. We at Fednav do our best to ensure our ships don't disrupt key marine habitats, and being able to properly identify the animals and know when and how to avoid them at different times of the year makes that so much easier. These kinds of tools go a long way to making sure our shipping practices only add value to northern communities." Captain David "Duke" Snider, CEO of Martech Polar Consulting, says:"As someone who has been on the bridge of ships for more than 35 years, I would say that a guide like this on board will be an invaluable resource to inform mariners on species they may encounter, and help mariners avoid particularly sensitive species and habitats. 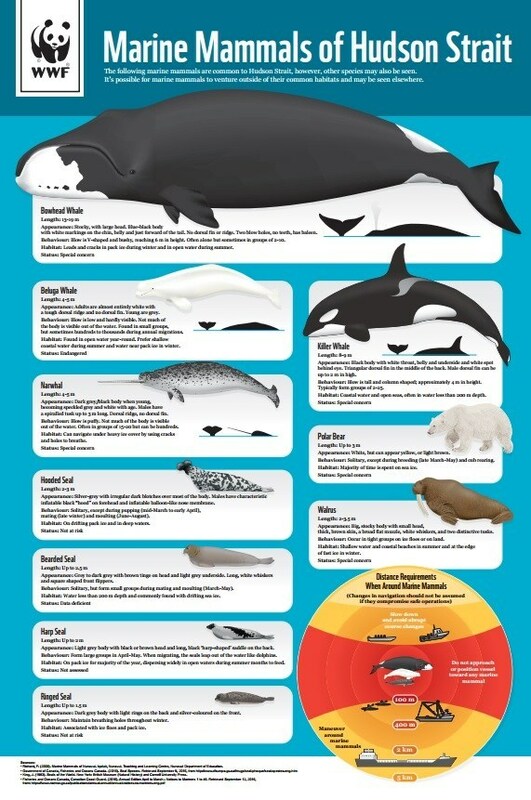 I would encourage those operating ships through the Hudson Strait to make use of this guide." WWF-Canada creates solutions to the environmental challenges that matter most for Canadians. We work in places that are unique and ecologically important, so that nature, wildlife and people thrive together. Because we are all wildlife. For more information, visit wwf.ca.